You are currently browsing the category archive for the ‘Maria von Wedemeyer’ category. At this point, Bonhoeffer still hoped he might be released, perhaps even in time to spend Christmas with his family and his nineteen-year-old fiancée Maria von Wedemeyer. He was engaged in January 1943, at age 36, to Maria von Wedemeyer only to be arrested by the Gestapo three months later in consequence of his involvement in plans to assassinate Adolf Hitler. 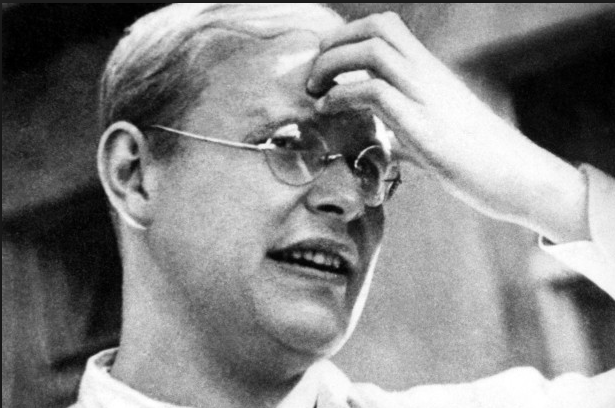 Bonhoeffer was executed (April 1945) while imprisoned at Flossenbürg concentration camp only weeks before Hitler killed himself and the German surrender. “Wait with me, I beg you! Let me embrace you long and tenderly, let me kiss you and love you and stroke the sorrow from your brow.” This is not an excerpt from a Harlequin romance but the impassioned longings of the champion of radical discipleship. These sentiments—and more like them—present a new aspect of Bonhoeffer, showing him to be surprisingly amorous, but in a way altogether consistent with his theology of costly grace. His love for Maria was “costly” because Bonhoeffer was forced to relinquish it; it was “grace,” because after 37 years of heady bachelorhood, he tasted of the wellspring of romantic possibility. Maria von Wedemeyer has been duly acknowledged as the true love of the gifted German theologian. 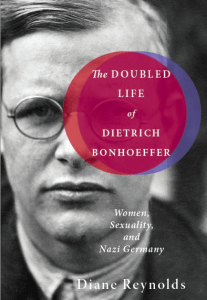 But before the publication of this volume, Bonhoeffer’s devotees had not been given such a glimpse of the force of this relationship and the passion this man felt, and then sublimated during his hard years in prison. It took the subsequent 15 years for von Bismarck to complete the task of sequentially collating the correspondence with the aid of Ulrich Kabitz, who added the necessary footnotes and historical data. Consolidating such fragmented, at times incomplete, material into a coherent narrative was no simple task. But, overall, it works: the reader is pulled into the drama and tedium that these two lovers experienced during their years of waiting and hoping. Maria von Wedemeyer Visited Dietrich Bonhoeffer Eighteen Times in the Tegel Prison. Eighteen times, Maria von Wedemeyer was able to visit her fiancé in Tegel prison, from 24 June 1943 to 23 August 1944. Their engagement was made up of 18 tormenting farewells. These and their letters were all they had, fanning the flame, over and over again, of their longings for a life together. Maria received the poem “The Past” in a letter smuggled out of the prison at the the beginning of June 1944. On 27 June she was with him again in Tegel, and after the failed coup of 20 July 1944 they saw each other one last time, on 23 August. (Ferdinand Schlingensiepen, Dietrich Bonhoeffer 1906-1945: Martyr, Thinker, Man of Resistance, 347-348). It Was Hard, At Times, For Dietrich to “Stay the Course” in Prison. He had to admit to himself that “nothing is more tormenting than one’s longing”; and this torment was what lay behind his poem, “The Past”, written immediately after a visit from his fiancée. You left, beloved bliss and pain so hard to love. my Heart, of my own self a part – the past? I hear your steps depart, resound, then slowly fade. What remains for me? Joy, torment, longing? I know just this. You left – and all is past. (Ferdinand Schlingensiepen, Dietrich Bonhoeffer 1906-1945: Martyr, Thinker, Man of Resistance, 345-346). Dietrich Bonhoeffer and Maria von Wedemeyer were engaged in January of 1943. On the 17th of that month, Bonhoeffer wrote to a handwritten letter to Maria. As of January 23, Dietrich had not heard back from Maria. So he fired off another letter to her on that same day. But the next day, he received a good and encouraging letter from her. On January 24, he wrote another letter to her. I love this period in Bonhoeffer’s life because he is so excited (dare I say giddy) over Maria? Now the letter is here, your kind letter–I thank you for it and thank you anew each new time I read it, indeed to me it is almost as if I were to experience now for the first time in my life what it means to be thankful to another person, what a profoundly transforming power gratitude can be–it is the Yes–this word so difficult and so marvelous, appearing so seldom among mortals–from which all this springs–may God from whom every Yes comes grant that we may speak Yes always thus and always more and more to one another throughout our entire life. (Dietrich Bonhoeffer Works: Volume 16: Conspiracy and Imprisonment: 1940-1945, 387-388). Dietrich Bonhoeffer Anxiously Awaits a Letter From Maria! Dietrich Bonhoeffer and Maria von Wedemeyer were engaged in January of 1943. On the 17th of that month, Bonhoeffer wrote to a handwritten letter to Maria. As of January 23, Dietrich had not heard back from Maria. So he fired off another letter to her on that same day. I love this letter because Dietrich wondered what was going on Maria’s heart and mind, and he needed to hear from her so that he would be more at peace! Tomorrow so it will be one week since I wrote. I thought I needed to wait for your response before I could I write again. Now that today’s mail has again brought nothing, I must write simply so that I myself can continue to wait peacefully. I am not trying to push you, truly–I would much rather wait much longer. If responding is so difficult, then I will wait until it has become easy and inwardly necessary and free. Anything else would be wrong-headed–and how could I ever forget that it has to be a miracle for response to be easy. Even now, nothing ought to be rushed and forced; indeed time must pass before everything can become clear. In all this we are to so fully at one. But I needed to write this note as a sign (of life) if I wanted to free myself from burdensome thoughts and restore peace of mind. There would be so much more to say. But I don’t want to do so today but rather simply wait and lay everything, truly everything, into God’s hand. Dietrich Bonhoeffer’s January 17, 1943 Letter to Maria von Wedemeyer is Filled With Emotion! …May I simply say what is in my heart? I sense and am overwhelmed by the awareness that a gift without equal has been given me–after all the confusion of the past weeks I had no longer dared to hope–and now the unimaginably great and blissful thing is simply here, and my heart open up and becomes quite wide and overflowing with thankfulness and shame and still cannot grasp it all–this “Yes” that is to be decisive for our entire life. If we were now able to talk in person with each other, there would be so infinitely much–yet fundamentally only always one and the same thing–to say! Is it possible that we will see each other soon? And where? Without having to be afraid of others’ words again? Or for one reason or another shall this still not happen? I think now it must happen. And now I cannot speak any differently than I have often done in my own heart–I want to speak to you as a man speaks to the girl with whom he wants to go through life and has given her Yes–dear Maria, I thank you for your word, for all hat you have endured for me and for what you are and will be for me. …This letter must be off immediately so that you will receive it tomorrow. God protect you and us both.